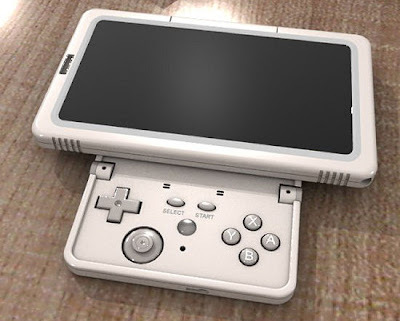 The system could have a portable controller that resembles 3DS, but I really want support for proper controllers too. Something like good old Gamecube controller and the Wii U Pro Controller. If the controllers attach and detach from the sides, I hope it doesn't feel flimsy. Nintendo handhelds are usually nice and solid feeling. Having joins where your hands will be doesn't sit well with me. I don't see any reason why this thing wouldn't support the current line of Nintendo bluetooth controllers. WiiMotes, Classic Controllers, Pro Controllers. Probably not the GamePad but still. They're not going to put out the NES Mini with what are essentially classic controllers and then dump it entirely. Well, I wouldn't think so anyways. Maybe they could also add some new re-branded controllers to go with it. Because as neat as the "detachable micro-controller" idea is for pulling the system out for some spontaneous multiplayer. At home I want a proper controller to play Smash on if I'm sitting down by my TV. What if those 2 detachable controller parts could reattach to each other without the screen component? Then you'd finally have that screenless, pure stick-and-buttons controller that purists have been clamoring for. It needs a second -stick-. Not a circle pad. Those things are way too fragile. The Vita did this wonderfully. And if it's ditching the clamshell design then there's no excuse not to make proper sticks. I'm confident that this is how it works. Basically you have two halfs of a pro controllers. They can either attach together (at home), or attach to the screen (on the go). There will also be normal pro controllers to enable local multiplayer. These controllers will include gyro/motion controls. But Wiimotes/gamepad etc. will be out. The message of the Wii U was confusing because the Wii controllers worked with the games and in some cases were needed. It not only leads to a confusing message but means that a consumer needs to have several types of controllers to be able to play the game. Having a standardised controller (even if one has a special function of being able to detach) will help convey a clear message of what this system is. People seem to think the detachable controllers are going to be wireless, like a pair of wiimotes, but is that even feasible for a portable? That would mean at least 3 batteries in the gizmo: 2 for the remotes and a big one for the main console itself. The mockups seem like a cool idea, but it just doesn't seem likely for something that needs to be affordable and portable. It could easily be that something has been lost in translation. I mean there are ways this could work without it being word-for-word what the rumour suggested. For example the detachable controller sections could clip into another component. Perhaps also opening it up to you putting different controller modules into the portable unit. So maybe there are modules that have circle pads and ones that have full analogue sticks. Maybe ones that only have a D-Pad. Perhaps there are also different modules for use in "dock mode". One with a fairly simple middle, one with rumble and a better battery. 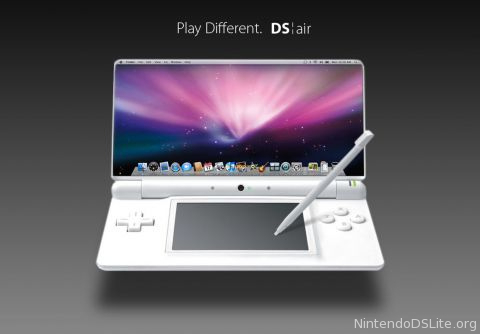 Maybe there's an optional one that has a screen so you can turn it into a GamePad. Just a thought. @gamermole with due respect...that doesn't look very ergonomic. With all the new rumours about detachbale controllers this thread died, weird? Here's a bunch from 2010 when word of the 3DS was coming out. I think it's interesting that 6 years later the NX sounds more like a DS successor than a Wi U successor. The controllers fold under on this 1, not detach, but close enough. I think this 1 is interesting b/c it looks like the controls rotate under the screen. Would be cool if it could do both portrait and landscape. I like this 1, looks sharp, with a big screen, not at all like the Gamepad. People always assume the attachable 2 controllers are on the sides, what if they are on the bottom? This 1 is interesting b/c the sides look a little like remotes. 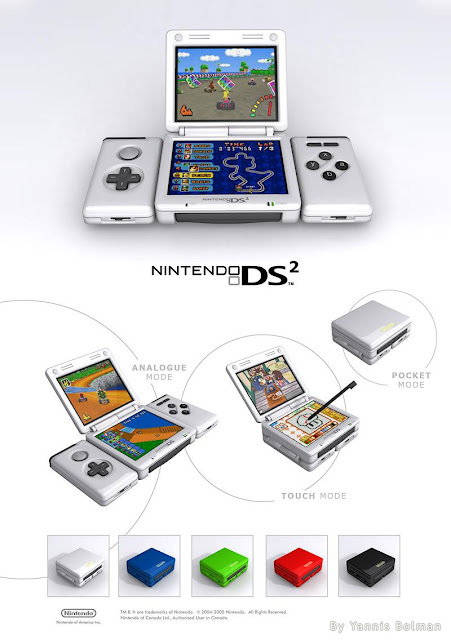 And who says NX can only have 1 screen? Source of all the pics, credit where it's due. Have I missed something or are these just mock ups? 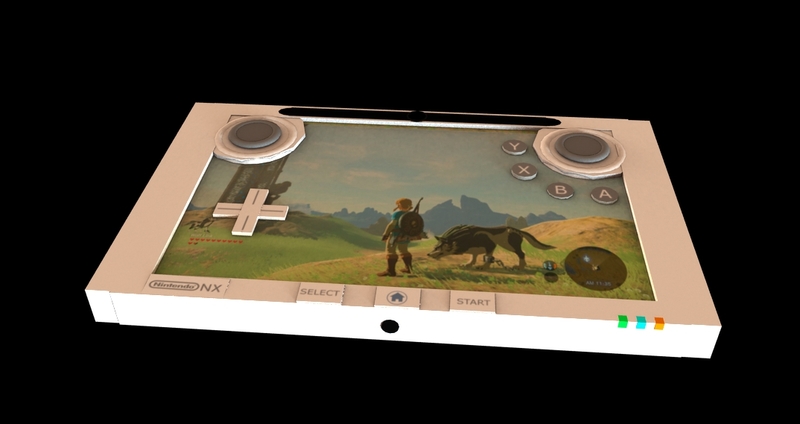 Why is everyone just presuming that NX will feature a second-screen and detachable controllers? The Eurogamers article was simply a rumour with no hard evidence. Also, if we consider the term hybrid as software crossing two platforms, that doesn't immediately equate a two-in-one product. Come on, let's get real here. There is more evidence pointing towards an AMD deal than an NVIDIA one. In fact, the source who reported the only real evidence for Tegra admitted themselves that their source was sketchy. Since then, many fans have jumped on this bandwagon without taking the time to think through the logic. There have been job listings at Nintendo that require skills/experience from AMD-branded initiatives; the company has a major chip deal that it has yet to reveal; and multiple sources are claiming that NX is on-par with or 'thereabouts' in terms of power compared to PS4/XB1. 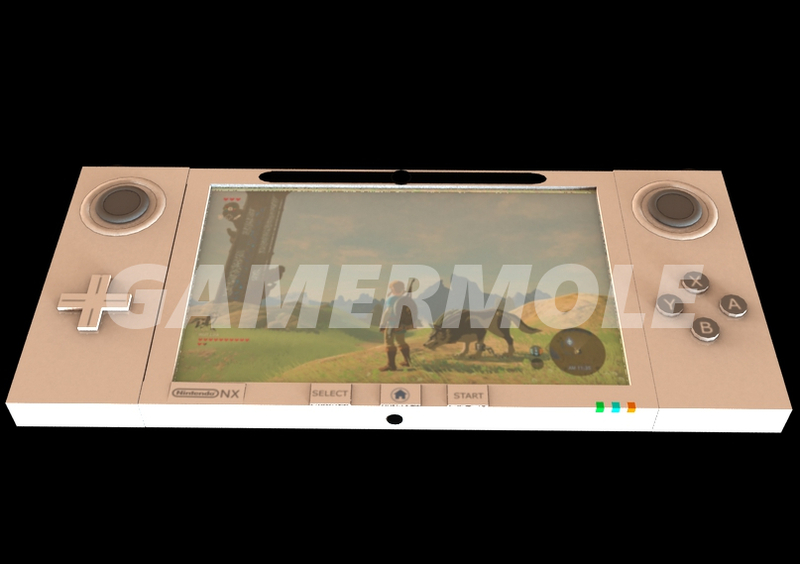 With all this in mind, it's silly to assume that NX would feature an AMD chipset inside a handheld device. It would fry in a matter of minutes - 50% of the PS4/XB1 console footprints are dedicated to thermal dissipation. Likewise, what incentive is their for Nintendo to use Tegra? That would effectively kill off third-party support all for the sake of mobile gaming. The second part of the hybrid aspect will be smartphones and tablets; for the simple reason that most families or individuals already own at least one. Miyamoto has himself admitted that the market which once bought the original Wii has transitioned to smart devices. Why would anyone, young or old, want to carry around another bulky device, only to 'dock' it when they get home? 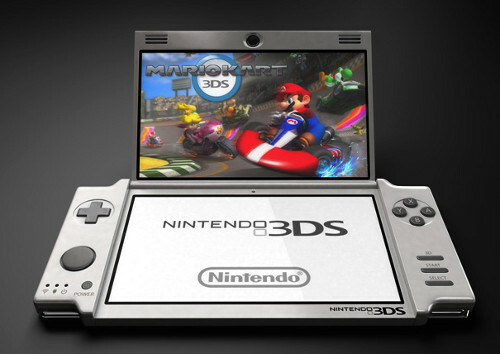 The 3DS already has an install base and software to boot. The NX will most likely be a home console with a back-to-basics approach. You purchase a title on cartridge, for which 90% of the functionality is for that hardware. The remaining 10% will be for the app for your mobile device - hardware to meet each situation effectively. You purchase Pokemon NX - the only way to catch them is on the go... on your smartphone... and these are then updated on the console for battling and more. If there is to be a 'Game Pad' of sorts then it will be sold separately; there is no point bundling it and incurring the costs when A) developers haven't taken full advantage of it even for Wii U, and B) Nintendo will know by now that this experience isn't for everyone; they've admitted as much through the whole "distractions" conversation. The controller, I can only hope, will be as comfortable as a GC Wavebird and have some of unique feature, such as the removable button units. Mostly as I expected. What is different is the screen and buttons being completely detachable. I imagined a rotating screen so you could have it horizontally or vertically. 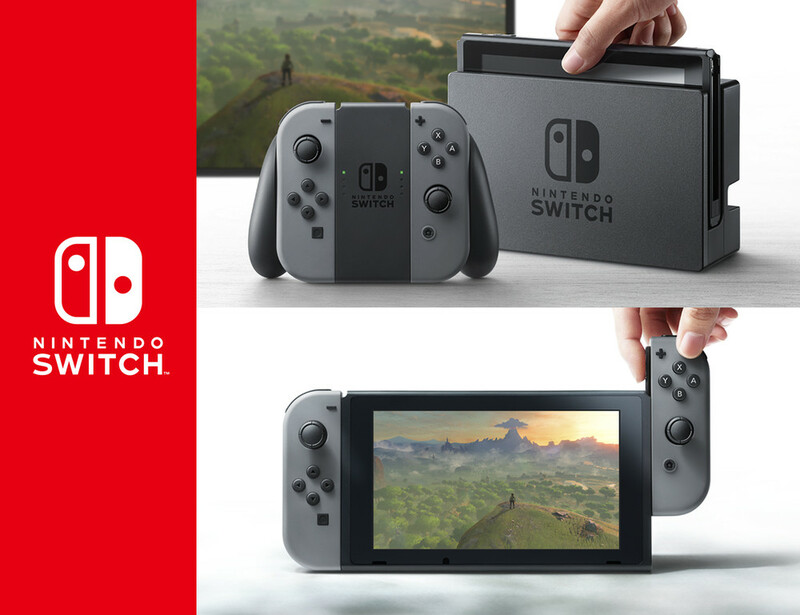 I mostly love it, but that regular controller with the 2 "joy con"s attached looks big and clunky to me. I'll be using the Switch Pro Controller for sure. Overall I am very happy with both the console and controllers. From the video, it seems that each half can be used as a separate controller, like a wii mote being held sideways. Think of poor player two whose control stick is right in the middle of the controller. Should definitely have been up the top. Edit: I don't think the placing of the plus & minus buttons are quite right either. It isn't so bad for the plus button because the stick is placed abnormally low, but the minus button is going to be unreachable.